just tell me one thing, what the meaning of barelviat? go and read the history, wahabiat is a FITNA not BARELWIYAT….. Hazoor PAK SAWW ki dua se jo area mehroom raha wahan khair ki kiran kaisay phoot sakti hai, ap apnay aap ko ehl-e-hadith kehtay hain to ja k NAJAD k baray mein Merey piyaray NABI SAWW ki peshangoee parh lein.. k wahan se sheitaan ka seeng niklay ga…. to apnay Nabi k ilm per Qurban honay ko jee chahta hai…. thori si jurrat to karein, apnay girebaan mein moonh daal k dakhein.. kabhi kisi ehl-e-Hadees ne manazra kia ALA- Hazrat Ahmad Raza Khan Barelvi se…. koi fatwa aisa jo Quraan-o-Sunnat k khilaf ho unka to bataein????????? Naam naya hai lekin hamaray Aqeeday Bohutt puranay….. aap log IBN-E-TAIMIA k followers ho jis ne hazoor pak SAWW ki shaan mein ghutakhian ki aur saath hi saath Ahmad bin abdul wahab k, k jis ne talwar k zor pe Hijaz-e-Muqaddas ko fatah kia NAJAD se nikal ker…. berlwi is a sect created by their leader Ahmad Raza (a hidden shia) to attack Ahlussunahwaljamah from within. to brother, jis taraf AP (saws) ka ishara tha woh iraq ki simat tha. najade iraq… na ki saudi ka najad..
bat ko mukmal maloom ki bina bas biger thahkik k failane wala jhoot hai …yah baat kis ne kahi yah to pata hi honga aapko. so, please research karo aur fir baat karo. aapko yah kisne kah diya k hum shaikh ibn-e-taimiya aur idn wahhab k followers hai … dear bro, hume humare nabi (saws) ki illaw kisi rahnuma ki zaroorat nahi hai…. koi aur rahnuma dhond ne ki zaroorat hi nahi padi…. dino ko samjo…. sono Ah main mere Nabi (saws) se satisfied ho …bas aapki zaat hi kaafi hai rahnumai k liye…. fursat hi nahi kahi aur dekhne ki..
sono aapne din mukmal pocha diya hai,, ab kisi ki zaroorat nahi us main amendment k liye..
Dekh Barelvi Allah ke Rasool(s.a .w) Najd ke Admi ko Jannati hone ki Basharat de rahein hai ab bolo? Sahih Bukhari Volume 1 : Book 2 : Hadith 44 : Narrated by Talha bin ‘Ubaidulla h: A man from Najd with unkempt hair came to Allah’s Apostle and we heard his loud voice but could not understand what he was saying, till he came near and then we came to know that he was asking about Islam. Allah’s Apostle said, ” You have to offer prayers perfectly five times in a day and night (24 hours).” The man asked, “Is there any more (praying)? ” Allah’s Apostle replied, “No, but if you want to offer the Nawafil prayers (you can).” Allah’s Apostle further said to him: “You have to observe fasts during the month of Ramad, an.” The man asked, “Is there any more fasting?” Allah’s Apostle replied, “No, but if you want to observe the Nawafil fasts (you can. )” Then Allah’s Apostle further said to him, “You have to pay the Zakat (obligator y charity).” The man asked, “Is there any thing other than the Zakat for me to pay?” Allah’s Apostle replied, “No,unless you want to give alms of your own.” And then that man retreated saying, “By Allah! I will neither do less nor more than this.” Allah’s Apostle said, “If what he said is true, then he will be successful (i.e. he will be granted Paradise). 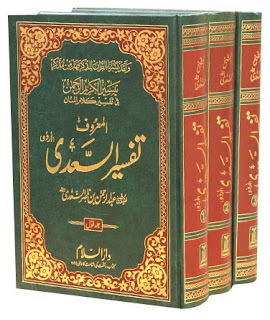 This is a book that tells us the Aqaaed of Barailvees. And the concepts on which barailviat is based upon. I think it is a very good effort by the respected author. We congratulate u all for exposing the ill thoughts & ill aqeeda of people like Barelvees. May ALMIGHTY ALLAH show us & all barelvees the right path & let all of us to follow Quran & Sahi Hadeeth. We request u that all people with Shirk, ill aqeeda, bidatts, kufur etc. etc. may please be given proper Dawah at international level towards Real Islaam as per Sunnah. And lets pray for the same too, coz they all r our nears & dears too. We should not let them ruin their lives. If they r non sense, but we should prove ourselves sensible all the way. I have read it in piecemeals and found it the most logical and authentic book with regard to its references and cross references that I checked. The late writer seemed to be highly literate and knowledgable on the subject he chose to write. Barelwis are mainly found in this continent and have no trace in any area of the world except where they live. This book also make it clear that this very sect was produced, promoted and protected by East India company for their nefarious designs to make rift between Muslims and esp. 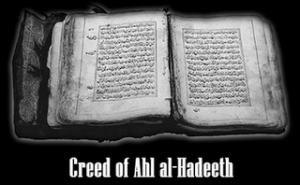 those who believed on Tauheed and purity of Allah and his Prophets. After reading, it seemed Barelwis are more influenced by christianity and hindus. Kabarparasti and popism is the main foundation of this sect, which in fact is pushing away pure Muslims from their belief. brewis aqeeda exposed from their books. What a good effort by the brother. May Allah open up the eyes of these people. I consider them to be nowhere near the Sunna and have a shia foundation. The conclusion is the Founder of brewiyat was a Kafir …so what do you think their followers are??????? nice book keepp it up…. Assalamualeykum. I want to send questions to Dr. Fawzan Alfawzan about aqidah matters. How can I get his email. please help me. Sir Kuch Arsa Qabal Biddation Ke Muft E Azam Mufti Ahmed Yar Khan Naeemi Ke Khrafat Se Bharpoor Kitab ‘Jaa Al Haq’ Jo Dar Asal Jaa Al Baatil Hai Ke Jawab Me Maulana Daud Arshad Ne Deen Ul Haq Likh Ke In Ka Jhoot aur Bakwas Ko Benaqaab Kiya.Lekin Lagta Hai Raza Khani Ummat Ko Kisi Lamha Chen Nahi Ata.Unho Ne Aik Fazool Koshish Is Ka ‘jawab’ Nusrat Ul Haq Ki Shakal Me Diya. 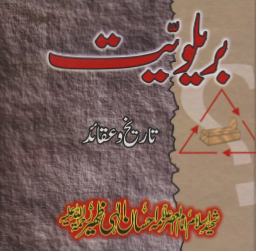 can you please share the complete book “al barelwiyah” by allama ehsan elahi zaheer. Also he wrote multiple book on shiaism, which is the one shared above, can someone mention its arabic name. A.A.BRELVI JO HN WO AHMAD RAZA KHAN KO MANTE HN AUR UN KE BAD ANEWALE APNE AP KO BRELWI KEHLATE HN .JB RAZA KHAN NI THE TO US WAQT BRELVE KYA KEHLATE THE.NO 2 .AJ TK KOI BARI SE BARI PAG WALA BRELVI MOLVI ALLAMA EHSAN SHAHEED KI KITAB ALBARELWIYYA KA JAWAB NI DE SKA JO KHULA CHALANGE HE.1990 MN SHEHBAZ SHARIF NE KAHA THA JO BRELVI ALLAMA EHSAN KI KITAB KA JAWAB DE GA USE INAAM DYA JAI GA BT AJ TK KOI SAMNE NI AYA.MERE BRELVI BHAI JOSH KI BJAI HOSH SE KAM LO AHADEES KO PRHO KACHI ROTI AUR PAKKI ROTI PARH KR ISLAM SMAJH NI AI GA.
Subhaanallah he rahimahullah was a real sword against these enemies from within. May Allah forgive him & grant him jannatul firdaus. read upto to chapter 3 of his book on breilwis now, subhanallah he went right into their sources and exposed them. My teacher ha said he did the same for the one on shia & that it is an excellent book on this topic. i also have the book on qadianism in pdf.